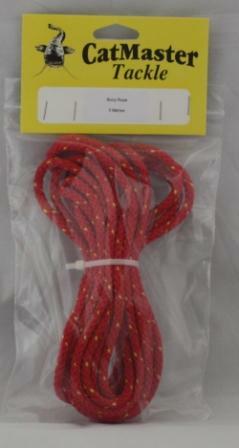 Ideal material for tying buoys with. Each end is sealed by us to prevent the ends fraying. Buoy fishing remains one of the most successful methods for large catfish. Yet, because of their size, bouys with sufficent bouyancy are often difficult to transport. 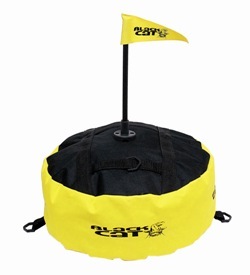 That is why the Black Cat team have developed a special inflatable buoy which packs away easily in the bag. The bouy is decorated with a recogniseable warning colour and has a snap light holder along with a fixing eye for anchoring and a release line holder, which is arranged so that the release line hangs above the surface under tension allowing flotsam to float beneath the rig. Black Cat Drift Sack Small. Black Cat have created a drift bag for all types of boat fishing either on lakes or rivers. Either as an standard version when using as a "brake parachute" at the bow or stern of the boat or with the smaller model for using as a drift bag at either side of the boat. Extremely robust yet easy to store design with in nylon with 4 strong hangers. Each two sides of the opening are equipped with bouyancy aids and two weights meaning the Drift bags will open in seconds.